The United States of America has been the land of opportunities for many generations of people from developing countries and underdeveloped countries. One of the evergreen professions where there is constant demand in the USA is the nursing profession. Are you a nurse who is planning to work or even settle down in the USA? If you are..then you are in luck because the nursing profession is in great demand in the USA. Just like any profession in demand, the nursing professionals also command a high remuneration for their work. Statistics show that more than 9% of the nursing jobs in the United States are vacant. As the healthcare system improves and customized individual care for patients increases, the demand for nurses will further increase. The demand is likely to multiply manifold in the coming years. One of the most popular visas used to visit the USA is the H-1B Visa. What is H1 B visa? H-1B visa is a visa provided to foreign workers by the United States through the Immigration and Nationality Act. The section of the Immigration and Nationality Act is 101(a)(17)(H). This act makes it possible for U.S. employers to allow highly qualified workers from other countries. These workers can enter the United states for a determined period of time and work in some specified specialty occupations. A landmark legislation in the US House of Representatives says that any visa holder has to be paid at least $130,000. This is the minimum yearly salary that has to be paid to the worker. This is a landmark bill because it prevents certain professionals from arriving in the US. It would not be cost effective for the company to bring such professionals, who will be replaced with Americans. On the other hand, it will help to bring in higher qualified professionals who are needed in USA, especially nurses and other professionals with Masters degrees. How does the demand for nurses make it possible for you to obtain a H-1B visa? 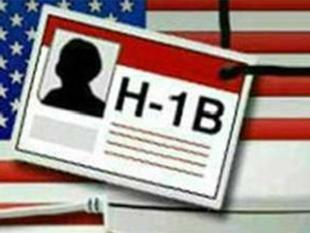 H-1B visa is always provided to workers, but the worker has to be hired by an employer from the USA. So, only qualified professionals who are in demand in the USA will be provided jobs by US based employers. So, if you are a nurse, since your profession is in demand, an employer in the USA is more than likely to hire you. This is a visa that is offered to eligible people (professional and skilled workers), who will be able to work in the USA. This is the reason for this visa to also be known as the ‘work visa’ and you are eligible to work in USA with this visa. The application for your visa needs to be forwarded by your employer. If the application is approved, you will be issued a visa with which you can work in the USA. 1. Eligibility: Check if you are eligible for the visa application. You should at least hold a Bachelor degree for you to apply for this visa. You should also be a skilled worker. Nurses and other healthcare workers can apply under this scheme. Other people who can apply are those with Engineering, Mathematics, computer science, business and other specialties. 2. Employer application: Your potential employer will file the H1B petition for you to get the visa. There are several nursing agencies that will help a nurse to obtain a job in a potential hospital and apply through them. 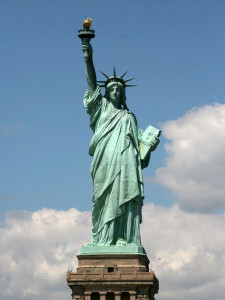 The employer will apply to the US Immigration department. 3. Visit to US consulate / embassy: If the H1B visa application is approved, you will be able to use it to fix an appointment with the US consulate which is close to your home. a. A digital photograph is required for applying and it should be as per specifications. b. The visa interview appointment will be provided to you only when you complete the HIB visa application, which is form DS160. c. Pay the visa application fees. d. Obtain appointment for your visa interview. This can be done online through the website. e. Fingerprinting has to be done before you go for your visa interview and so this needs to be completed at least a day before the interview. f. Appear for the interview with the relevant documents that are required. You need to take your passport, your digital photo, DS-160 application, payment of visa fee receipt, visa appointment letter and other documents that are mentioned in this article. Duration of stay in USA with H1B visa: The usual duration of stay allowed with any H1B visa is for 3 years. But, in special circumstances, an extension of another 3 years may be approved. And, this has to be applied for before the expiry of the previous visa. 1. Your Valid passport copy has to be submitted so that the validity is confirmed. 2. Educational certificate copies (Degree / mark lists / transcription). 3. Letter from the current employer, and it should state your employment status. 4. Copies of all of your experience certificates, for verification. 5. Other additional qualifications / certifications and achievements that you may have. Can a person travel and have multiple times entry into USA with a H1B visa? Yes. A person who holds a valid H1B visa can travel from and to the USA. You can travel as many number of times as required. But, you should ensure that the H1B visa is valid. Can I change my job to another employer while in USA? Yes, you will be able to change your job, but it is subject to the H1B transfer. Can I take my family along with me? Yes, you can take your spouse and also children (if they are unmarried and less than 21 years of age). They can come to the USA on H4 category, but they can stay only till the validity of your H1B visa. Is it possible to travel outside US while having a H1 B visa? Yes. It is possible for you to travel outside US and not only that, but you can even stay for any duration you like. But you should go back before the visa expires for you to be allowed entry into the USA. But, you need to remember that you cannot stay too long. If you stay very long, then the immigration officer may think that you are working elsewhere. Also, you need to renew the visa before the last day. The two countries from where thousands of nurses relocate to the United States are India and Philippines. There are reasons for the huge number of nurses leaving these countries. The good pay and working conditions for nurses that are available in the USA are two reasons. Learn about the step by step process for Indian / Philippine nurses to work in USA. How will a person be selected if the number of applicants are more? It is commonly seen that the number of applicants for the H1B visa are much more than the number of people who can enter US through this visa. So, the USCIS has formulated a lottery method. through this method, each of the applicants who apply for the H1B visa has a equal chance of entering the USA. The problem with the lottery system is that the whole process has been hijacked by some companies. These companies that have branches in US and other parts of the world, try to apply numerous applications on behalf of their employees. The result is that many other genuine applicants are unable to enter the USA. The US government, which is the Trump Administration at present has devised a method to prevent the systematic abuse of the H1B visa system. The administration has made a Presidential Executive Order. This order states that the people who apply for a H1B visa will be eligible based on their qualification and also their pay in USA. A person who is most skilled and highest paid will stand a better chance of entering the US than a person with poor skills and low pay. This ensures that the best talent enters America and this is a Win-Win situation, where the best qualified people will be able to enter the United States. What is the major worry of nurses who are planning to go to USA? They worry about the changes to the H1B visa system by the Trump government. Some people feel that it makes it difficult for nurses to go abroad. The truth is that if you are a qualified nurse with adequate education and credentials, it is not a disadvantage with the new system. You will stand a equal chance of getting into the United States. The health care system in USA is dependent on the foreign health workers with nearly 30% of the workforce being foreign nationals. In 2014 and 2015, 15,000 health care workers entered the USA with the H!B visa. Are you a nurse applying for job through the H1B visa system? You can be assured that you will get a better opportunity in the present system. It is also likely to ensure that you are able to work in better conditions with a higher pay. Do you intend to work in Canada? Learn about the step by step process for Indian and Philippine nurses to work in Canada. I’M PROFESSOR OF SURGERY AND I HAVE EXPERIENCE 20 YEARS AFTER PASSING MY GENERAL SURGERY AS A SURGEON. I HAVE EXPERIENCE OF 17 YEAR AS PROFESSOR OF SURGERY IN MEDICAL COLLEGE. BUT NOW DUE TO MY SON’S CAREER, I WANT TO SHIFT TO USA WITH CERTIFIED DIPLOMA COURSE OF OT ASSISTANT. IS THIS A GOOD STEP? CAN YOU HELP ME TO FIND OUT MEDICAL PROFESSION FOR USA BETTER THAN THIS? NOW DUE TO LONG TIME I AM NOT ABLE TO PASS USA MLE FOR MEDICAL PROFESSION. AND MY AIM IS NOT TO EARN. Dear Doctor. Considering the fact that you have been a surgeon and you still want to be in the operation theater, becoming an Operation theater assistant might be the right choice. There are other professions, but you may not be able to go inside the theater, which I guess is your passion. THANKS FOR YOUR PROMT RESPONSE. YES I M HAPPY AND IT IS EASY TO WORK WITH OPERATION THEATER, BUT STILL I WANT TO KNOW OTHER PROFESSION TO ENTER MEDICAL FIELD IN USA. AND KINDLY GUIDE ME ABOUT INDIAN OT ASSISTANT COURSE VALID FOR USA ENTRY. AND PROCEDURE FOR IT.THANKING YOU . DO I REQUIRED NURSING WITH NCLEX AND WITH OT ASSISTANT COURSE ?, OR OTA COURSE ALONE? OR NURSING ALONE? To answer both your questions, the easiest thing to do in USA with your knowledge would be medical coding. It is also a short course and you can do the course online. It will help keep you employed in a meaningful way. If you prefer and want to take up a course, nursing is the best, but there could be a lot of processes if you study nursing in India and go there. OT course in India and then going there would also be tricky. It is always easier to work in US if you study there, especially you may plan to stay there for long time. IF you do nursing, NCLEX is mandatory. My thought would be that if you like to take up a job and use your time, it would be best to go in for medical coding using the International Classification of Diseases. THANKS FOR CRYSTAL CLEAR RESPONSE . NOW I WILL KEEP IN MY MIND ABOUT YOUR BOTH ADVISE. SOME MORE QUIEIES. 1) FOR NURSING IN INDIA STANDARD OF UNIVERSITY IS REQUIRED OR ONLY INC REGISTRATION OF COLLEGE IS SUFFICIENT? 2) IM NOT AWARE ABOUT MEDICAL CODEING COURSE, WORK, SALARY HOURS, REQUIREMENT, DEMAND, WHERE CORSES ARE AVIALABLE IN INDIA? PLEASE SHARE SOME IDEA OR LINK TO GET MORE INFORMATION REGARDING IT. IS IT SOMEWHAT OFFICE PAPER WORK? I WANT TO STAY IN USA WITH MY FAMILY MEANS FOR MY SON’S EDUCATION AFTER 12TH, OUR PLAN IS TO DO BECHLOR FOR MY SON IN USA. WE HAVE VISITOR VISA USA. AS WELL WE HAVE MY PARENTS AND BROTHER FAMILY IN NJ.SO IS THIS MEDICAL CODEING JOB IS GOOD FOR EASY ENTRY IN USA RATHER THAN NURSING? I HAVE ENOUGH TIME TO GO. I HAVE MY OWN WELLSET SURGICLAL HOSPITAL IN INDIA.